P1010533, originally uploaded by christopher-amos. 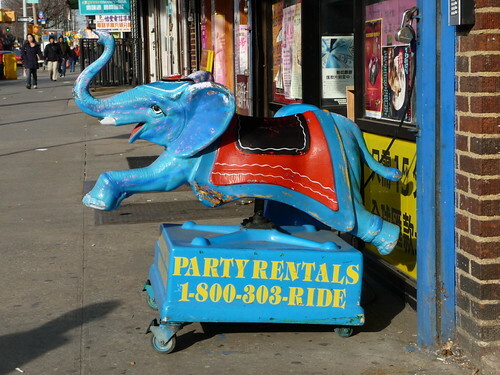 This elephant is on 8th Avenue and 51st, in front of a pharmacy. It's a short ride, but it's only 25 cents as opposed to the usual 50 cents. It was broken for a while, so if you're unsure, ask in the pharmacy about its condition.